On Aug. 1, 1914, the German battlecruiser Goeben was taking on coal, preparing to flee the Italian port of Brindisi in order to escape a pursuing British Royal Navy squadron. Thus began an epic pursuit across the Mediterranean, with effects that reverberated across World War I. In the years prior to the war, Germany deployed naval squadrons around the world to protect its burgeoning colonial empire. War came so quickly that some of these squadrons were trapped in unfriendly waters, chased by superior British forces. Goeben and the light cruiser Breslau amounted to a respectable, if not formidable, capability. Germany had two allies in the Mediterranean — Italy and Austria — but Berlin worried the two traditional enemies might fight each other, instead. The Germans were unprepared for war. Goeben — displacing 25,000 tons and packing 10 11-inch guns — badly needed a refit, as well as refueling, and Mediterranean allies weren’t ready to accommodate the vessel. Vienna still hoped it could avoid war with Britain. Italy was unhelpful. The German squadron began the war at the Austro-Hungarian port Pola, but moved to Italy’s Brindisi on Aug. 1. The next day, Goeben and Breslau traveled onward to Messina. But Italian authorities denied them fuel. The German crews literally tore apart several German merchant ships in search of coal. Adm. Wilhelm Souchon, who would later command a whole squadron of battleships, led the German detachment. He had few choices, none of them good. He could attack French convoys, head back to Austrian safe havens, or make a run for Turkey. His official orders involved interference with convoys of French troops coming from North Africa, but French and British naval superiority in the Med made any concerted offensive action nearly suicidal. The Royal Navy was dominant in the North Sea, and that meant the French could commit the bulk of their own fleet to convoy protection. Additionally, the presence of a pair of British battlecruisers plus a group of armored cruisers meant that Goeben and Breslau faced overwhelming odds. The Austrians were still trying to avoid war with the British, although they wouldn’t have turned away a German squadron in need. But Souchon appreciated adding two German ships which would not tilt the military balance in the Med. Goeben and Breslau would have been wasted joining the Austrians. And so Souchon set off for Turkey, a choice that — surprisingly — would add nearly 50 years to his flagship’s lifespan. The Royal Navy expected Souchon to break west, in search of the convoys and in hope of making his way into the Atlantic. The battlecruisers Inflexible and Indefatigable guarded the western exit of Messina, while a squadron of armored cruisers patrolled the eastern approaches. The first and best chance to stop Goeben came when this squadron, consisting of four British armored cruisers and eight destroyers under Adm. Ernest Troubridge, sighted the ship and considered closing for combat. Goeben, a battlecruiser, could both outrun and outgun any individual Royal Navy cruiser. However, she could not beat an entire squadron. In 1914, there was little distinction between an armored cruiser and a capital warship. Each of Troubridge’s cruisers displaced nearly 13,000 tons, with a heavy armament of 9.2-inch guns. However, the cruisers lacked Goeben’s speed, as well as the armor to protect them from the German ship’s 11-inch shells. At the very least, Troubridge might have forced the Germans to expend more fuel and ammunition than they could afford. But Troubridge, concerned that Goeben might just pound the British ships from long range, planned to launch torpedoes at night. Against all expectations, Souchon continued towards the Dardanelles. 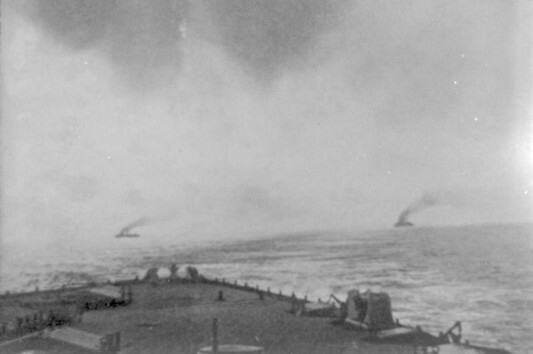 The Royal Navy cruisers and battlecruisers pursued, but managed to fire just a few shells. The German ships arrived in Turkish waters on Aug. 10 and waited for Ottoman authorities to decide what to do. And then the Germans scored a diplomatic coup. In order to avoid legal problems associated with transiting ships through the straits, the Turks formally transferred Goeben and Breslau to the Ottoman navy. This had the added advantage of humiliating Britain, which had seized a pair of battleships under construction for the Ottoman Empire in British yards. In late October, still under the command of Souchon, Yavuz Sultan Selim and Midilli — the former Goeben and Breslau, respectively, attacked a Russian naval installation on the Black Sea. 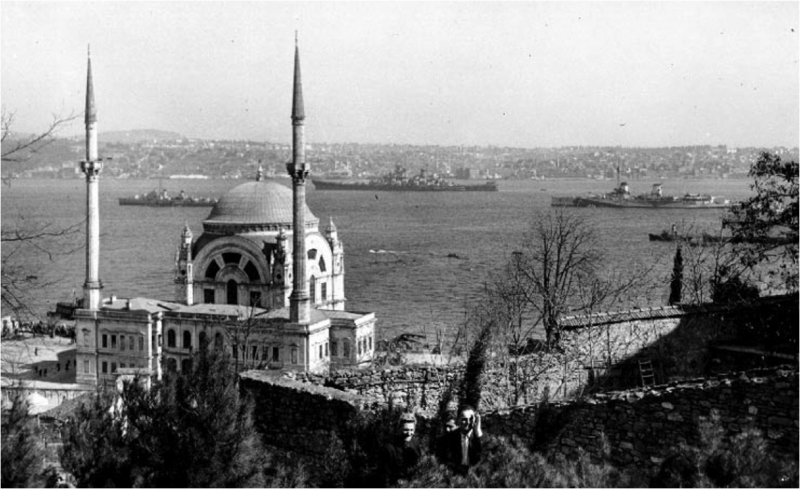 Their raid was Turkey’s first military action of World War I. Some historians have overstated the diplomatic impact of the transfer. The Ottoman government under Enver Pasha would likely have joined the Central Powers in any case. But the dramatic German offer undoubtedly had a popular impact, making it easier for Pasha to push his government into war. Goeben and Breslau would go on to have some remarkable adventures in World War I. Goeben tangled with the battleships of the Russian Black Sea Fleet on several occasions, unable to inflict serious damage but always able to escape. Breslau eventually hit a mine and sank in late 1918. Goeben suffered serious damage toward the end of the conflict, but remained in revolutionary Turkish hands after the war. Eventually, the Turkish government repaired, refurbished and kept her in service into the 1950s. The Turks finally sold her for scrap in 1973. This article originally appeared on July 31, 2014.